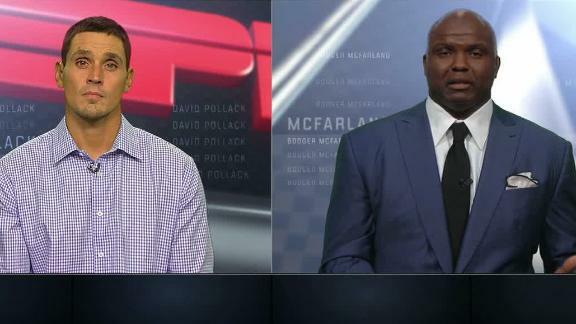 David Pollack and Booger McFarland offer their takes on former Alabama quarterbacks Blake Barnett and Cooper Bateman criticizing Nick Saban's handling and communication of the 2016 quarterback situation. Mitch Albom suggests Nick Saban is in no position to criticize QB Blake Barnett for transferring from Alabama after Saban left multiple jobs in order to improve his status. Is Nick Saban being hypocritical talking about Barnett? Mike & Mike are critical of Alabama coach Nick Saban's comments blasting QB Blake Barnett for transferring from the program when he left the Dolphins' organization to return to college football two years into his contract. Nick Saban addresses the future of QB Blake Barnett, saying he's unsure what Barnett's final decision is. Does Alabama have a problem recruiting QBs? ESPN's Craig Haubert and Tom Luginbill break down Alabama's QB recruits and what it says about their ability to recruit at the position.